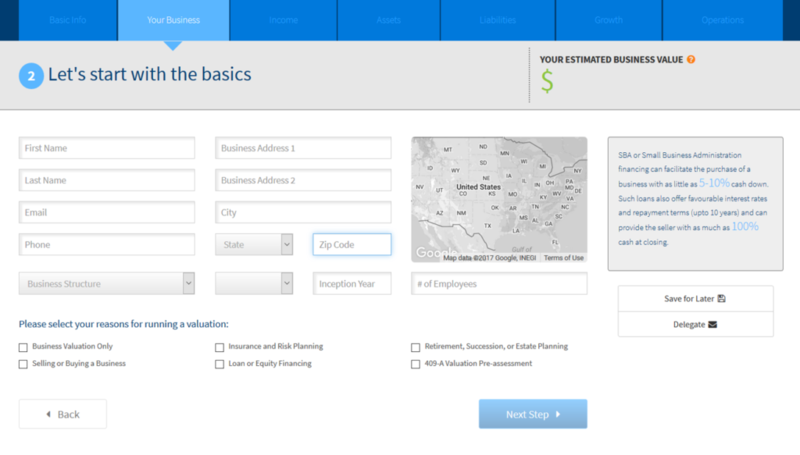 Biz|Equity develops a web-based business valuation calculator. 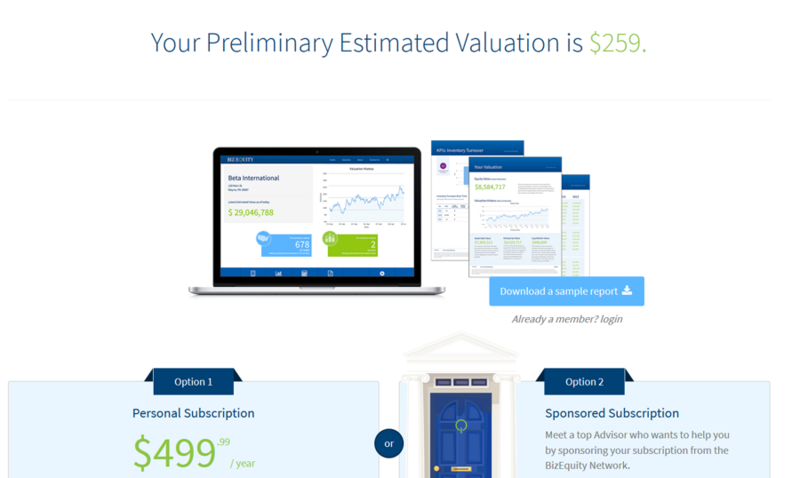 They provide a free trial of their system, but require a subscription to receive the valuation. In the free trial, the results are visible for ten seconds. 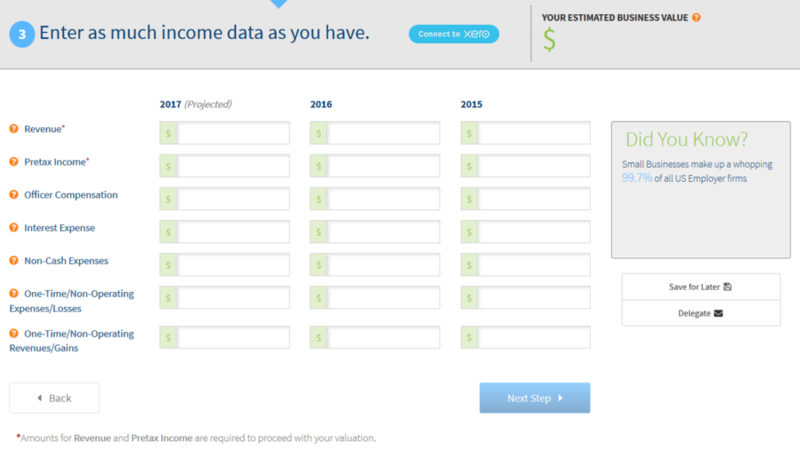 This is a clear drawback of the free valuation tool and the required inputs also do not guarantee accurate results. The first step is to enter the basic information of the company, including address details and company’s industry. The process begins on the Biz|Equity front page. After inputting the company name, industry and zip code, you can continue to insert more detailed information about company, i.e. address details etc. After inserting the basic information, income statement data is inputted. 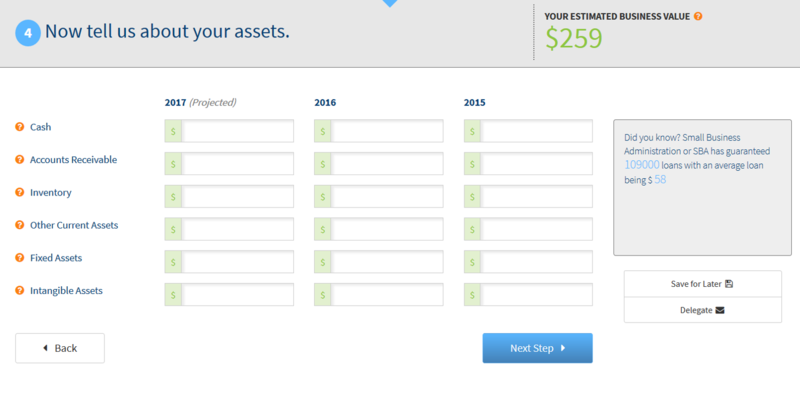 You can put data for two previous years and projected figures for next fiscal year. 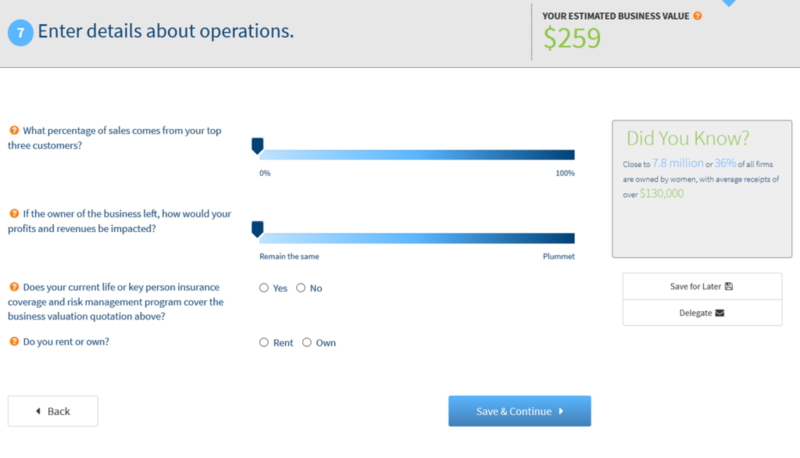 The required figures are revenue and pretax income, but there are optional input fields for five other figures. The next step after the income statement data is to input first assets and then liabilities. 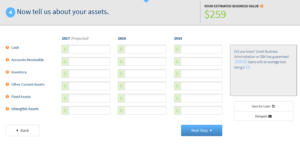 For assets there are six input fields and for liabilities there are five. After filling in the financial numbers, the business valuation calculator requires an estimation about future growth. 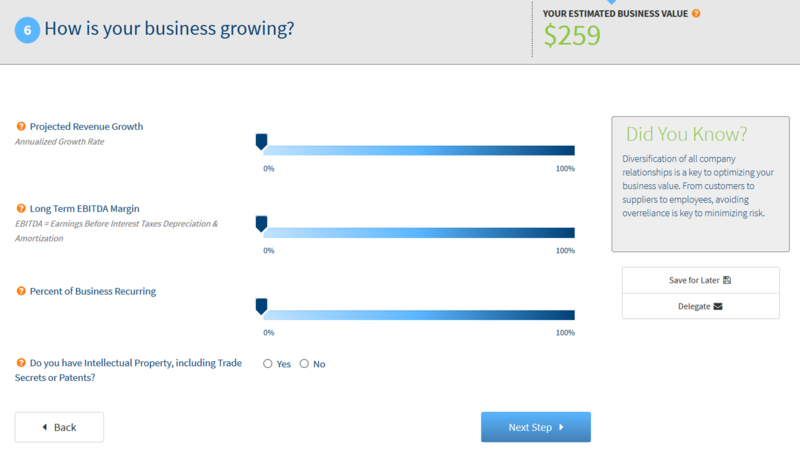 You must answer to questions about projected revenue growth, long term EBITDA margin, percent of business recurring, and whether the company has intellectual property. Then you must answer some questions about details of operations. For example, you are asked whether the premises of the company are rented or owned. Then further questions about the value of the property or the rental payment. The result of the valuation is displayed for ten seconds after finishing the valuation process. 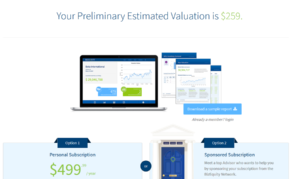 If you want to download a valuation report or examine the valuation further, subscription is required. There are two options, either personal subscription or sponsored subscription – an option where an advisor will be in contact. 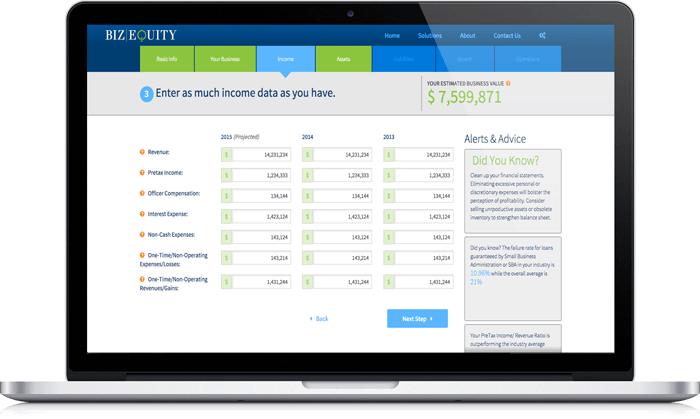 BizEquity provides a web-based company valuation solution that is easy-to-use.